Social media is the ideal tool for businesses looking to improve online visibility. The natural inclination of social media users to share information allows a company to spread its message throughout the internet. Savvy business owners can share a plethora of information to customers and potential customers. Social media allows shareable content is the form of photos, videos, articles, news, entertainment, opinions, websites, products and services. 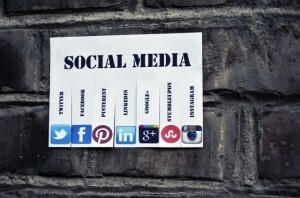 Companies of all sizes have taken notice of the potential of social media. In fact, every legitimate business is now expected to have a social media presence. Most companies with an online marketing presence regularly update Facebook and Twitter accounts. Some go a step further, and use Instagram, Pinterest, Tumblr, YouTube, Google Plus, and Vine. Each of these products offer a unique way for companies to market themselves online by sharing information related to their products and services. Since every business has a limited budget to spend on online marketing, focusing on a few social media channels is preferable to sparse interaction on all sites. As the largest two networks, Twitter and Facebook are the most important social media channels for online marketing. The 140 character count on Twitter is perfect for a company that wants to deliver incisive messages that keep clients interested and up-to-date. Customers can share their positive experiences. Complaints and queries can be addresses through Twitter in a public arena, and when well-handled, can make a company look calm, capable, and professional. Twitter also allows companies to handle complaints and customer service. Individual customers are able to post publicly on Twitter as well as mention a business in a tweet. Direct, private messages are also an option for individuals who have more sensitive needs. Facebook has even fewer limitations than Twitter. Web content of any kind can be shared on the Facebook platform. Companies can reach out to existing clients and prospective customers with a diverse range of content that can make them stand out from competitors. Sucessful businesses can create an online customer base with the magnetism to draw in more business than ever before. Small businesses in particular have the most to gain from Facebook, since it’s a cheap platform that can launch an effective marketing campaign against big business competitors. Like running a website, controlling social media is about branding the company’s image to an online audience. Account holders need to be mindful of their cyber conduct. More importantly, they need to strategize. The campaign should be thoughtful, well-managed, and representative of business values. And whether they seek out the counsel of a third-party marketing company to help them, or they hire someone in-house, they must dedicate time to making the best social media image possible. After all, a low cost service with high profit potential is a godsend for the business owner who keeps an ear to the ground. Social media connects your business with your customers. This article has been written by Nolan Kido. Nolan works in the technology industry in Honolulu, Hawaii.